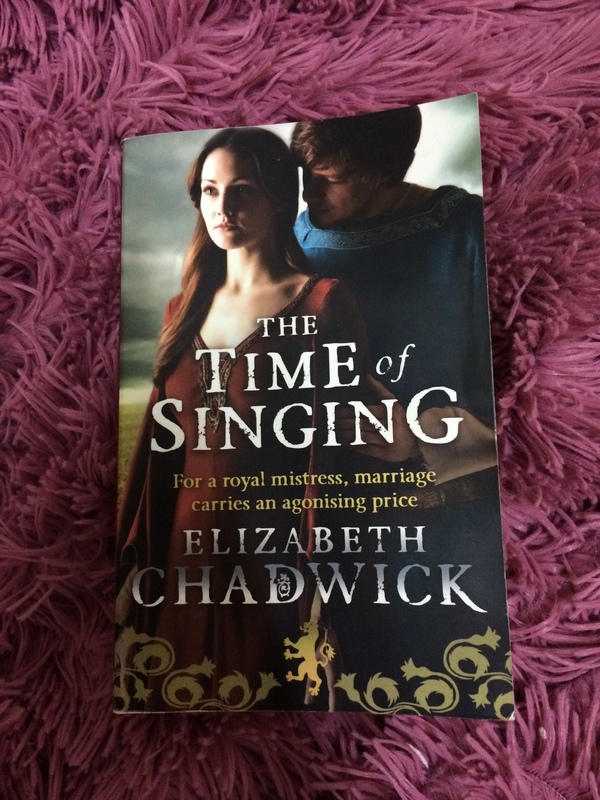 In The Time of Singing , Chadwick blazes to life the love story between the known medieval knight, Roger Bigod, and his wife, the former mistress of King Henry II, Ida de Tonsny. The story follows the life of Ida since her arrival into King Henry’s court and his decision to force her to be his concubine, until she marries Roger. At the same time, the story presents the life of Roger and how he abandons his father to join King Henry II. The story begins very beautifully, presenting the hardships the child-Ida go through as a concubine and the tribulations Roger face at home from both his father and step-mother. Chadwick brilliantly brings their story into life. She offers us a vivid image of the life during the Medieval Age. The chapters dedicated for Ida’s concubinage years and Roger’s Knighthood years are the best. Then follows the chapters dedicated to their courtship and early love. After those chapters…I just felt bored ! Chadwick narrates trivial, unmeaningful details of their marriage that adds nothing to the story. Almost the last 100 pages do not either deepen the plot or amplify the reader’s experience. I read several historical fiction, but this is the only time that I felt that I am not intrigued to continue the book! Even though this is the first time I hear about Ida and Roger, I still felt bored by the end of the book. If Chadwick focuses the story more on their love and adds more details, I think the story will be more interesting ! I believe because Chadwick stays very, very close to the details of the real story, she fails to produce a very grappling, interesting story, and the book ends up as a historical book. Instead if she leaves the details of the real story and adds more fictional details, the book would be GREAT. ! Still, Chadwick vividly portrays the life back there..attires, balls, attitudes..etc. Anyway, this book is a beautiful piece of historical fiction. I would recommend anyone interested in historical fiction to read it….and enjoy it !